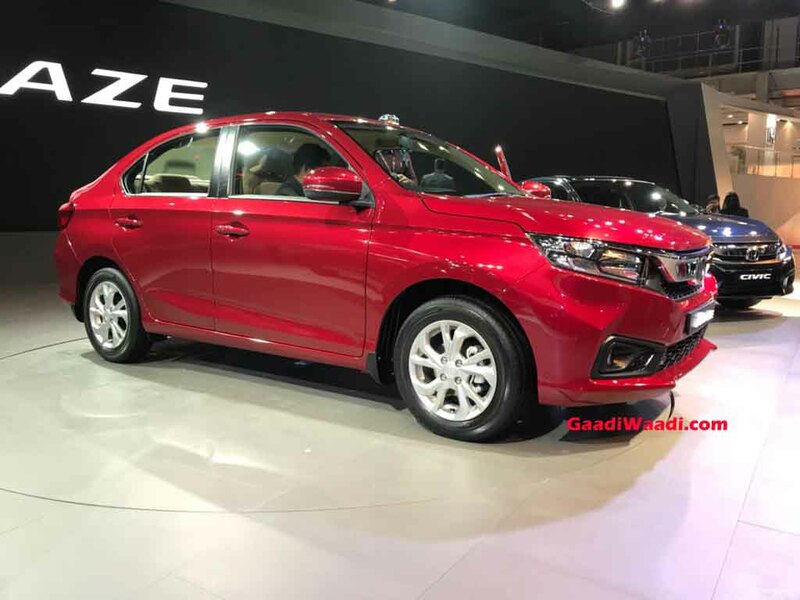 The new generation version of the Honda Amaze had already been unveiled ahead of its official market entry on 16th of this month and we have already told you that it will be retailed in four different variants: E, S, V and VX just like the outgoing model. 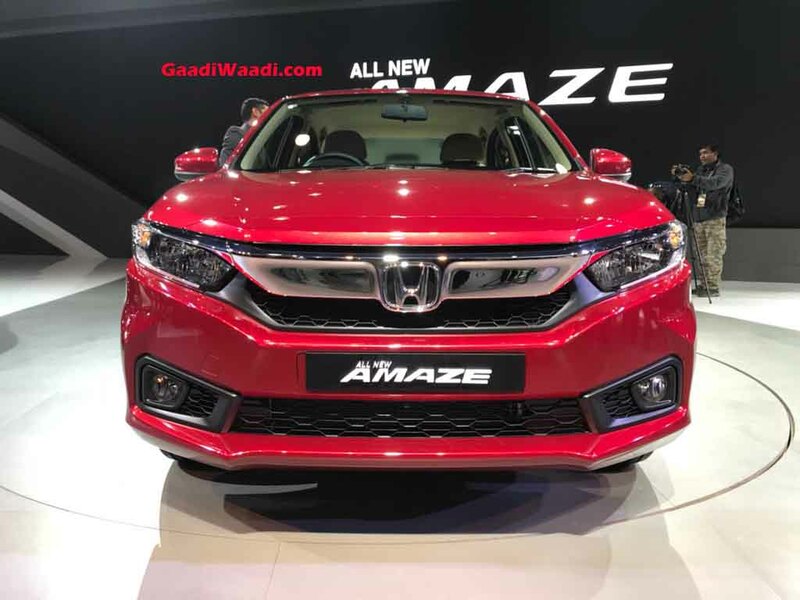 The major changes implemented on the second-gen Amaze obviously have more to do with its looks. But the features list explains you of all the hidden details before the new Amaze makes its way into the domestic space. The entry-level E variant gains two-tone interior with piano black console, driver side auto down window, chrome grille, MID, low fuel working lamp, ivory coloured interior door handles, front antenna and accessory socket and manual AC. Moving on to the S grade, it gets LED turn indicators, shark fin antenna, electrically adjustable and foldable wing mirrors, multi-spoke steering wheel with mounted audio controls and tilt function, 2-DIN audio with 4 speakers, AM/FM/Aux-in, Bluetooth and USB connectivity, height adjustable driver seat and keyless entry. Body coloured door handles and ORVMs, silver coloured inner door handles, speed sensing door lock and adjustable front seat headrest are other additional features along with what will be offered in the base E grade. The V and V CVT trims, on the other hand, features automatic climatic control with outside temperature display, push button engine start/stop, LED positioning lamps, 15-inch alloy wheels and fog lamps up front. Other important equipment are welcome light, front and rear mudguard, electromagnetic trunk opening, driver side seat back pocket, and CVT paddle shifters. Along with the aforementioned convenience and comfort elements of V, the range-topping VX boasts a number of new inclusions much needed on the Amaze. A DIGIPAD 2.0 touchscreen infotainment system with Apple CarPlay and Android Auto connectivity, cruise control, voice recognition, driver side window with one touch auto up/down and pinch guard and two USB ports are offered in top-spec VX model. 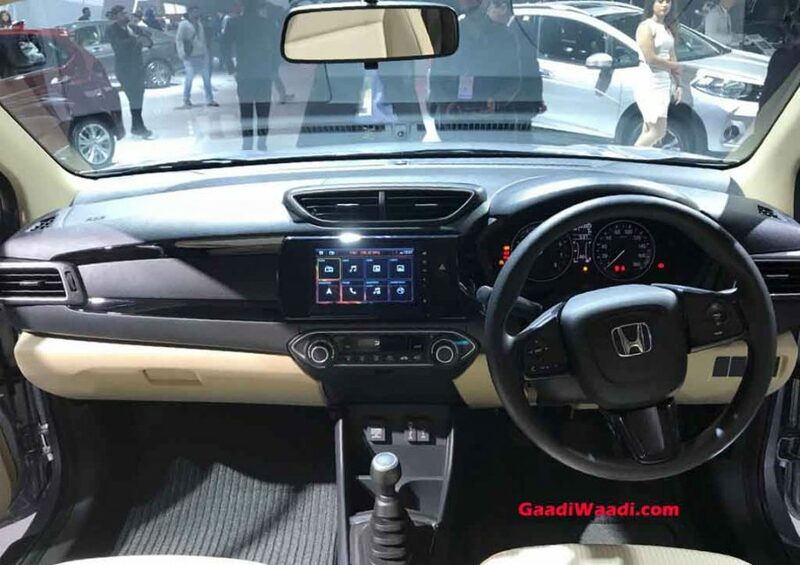 Honda will see the new Amaze with dual SRS airbags, ABS with EBD, Brake Assist, ISOFIX child mounts, reverse parking sensors, impact sensing door lock as standard fitment. 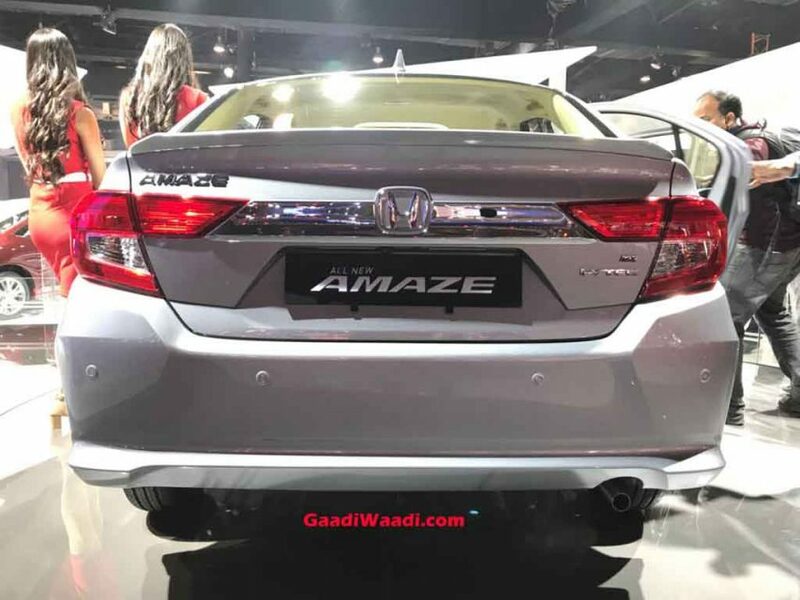 The new Amaze uses the same 1.2-litre i-VTEC petrol and 1.5-litre i-DTEC diesel engines with 89 bhp/110 Nm and 99 bhp/200 Nm outputs respectively. The power units are connected to a five-speed manual transmission or a CVT. The segment-first diesel CVT can be had with the same engine but it’s de-tuned to produce 79 bhp/160 Nm.